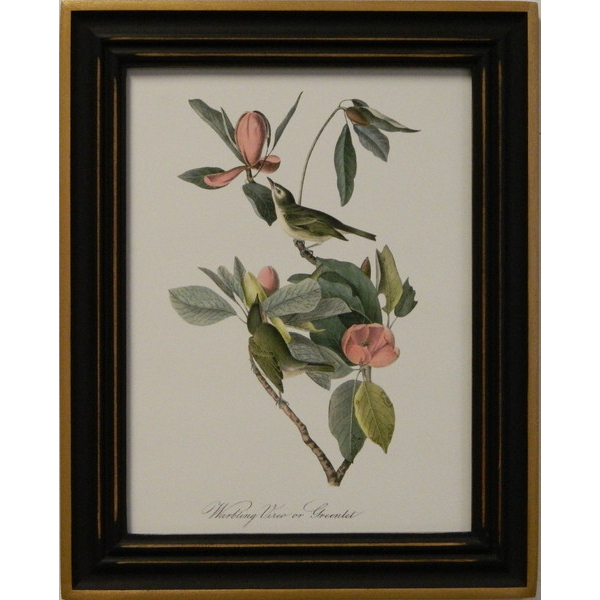 Vintage Song Bird Reproductions by famed Wild Life Artist John James Audubon. In Ant. Black with Gold Accent Hardwood Frame.